So this one ended up not being what I had originally intended but that’s ok. My last time in Wisconsin, I went and saw my dad at his office. I must say his desk was pretty depressing. Not a photo or toy in sight. So for Fathers day, I sent him a framed photo of me, Heather and my mother. Something to beautify his desk. And to help him out on those long days, I included a bunch of snacks and such. If he were in college, he’d be in heaven! I even sent the box to his work so he’d have it right there. Little did I know the goofball would see the box and bring it home without opening it! I had to set him straight and he wasn’t allowed to have anything until he brought it all back to work! I was able to try out another board game for this item. 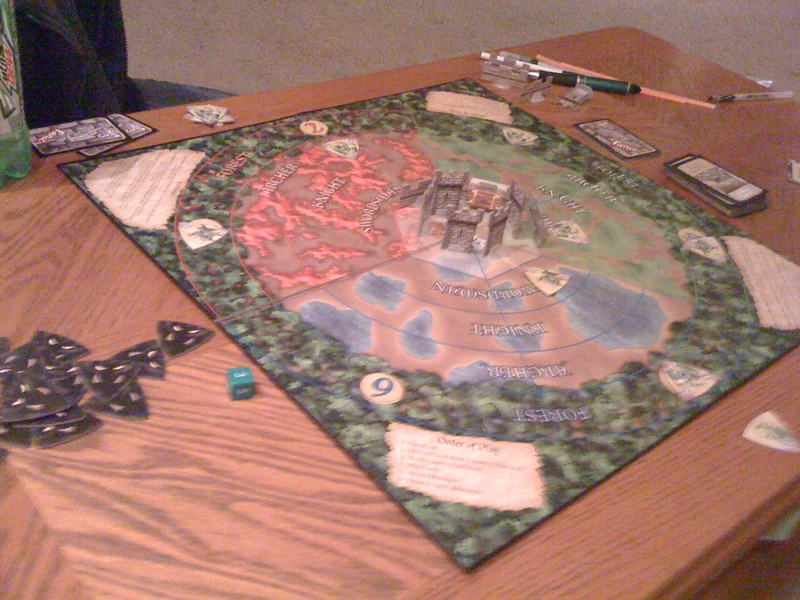 This time it was called Castle Panic. I’m always in the market for a new cooperative board game (much easier to get heather to play those). In this game the players work together to defend a castle being constantly attacked by monsters. One thing I really liked about it was that it was pretty easy. We were able to pick up the rules quickly and get a game in. I’m sorry to say that the game beat us, but we’ll be trying it again for sure. So for this one we actually volunteered at the festival. We went to the For The Love Of Hops Festival at our favorite restaurant Two Brothers. This was their yearly release party for the really tasty Hop Juice Beer (it’s a seasonal). 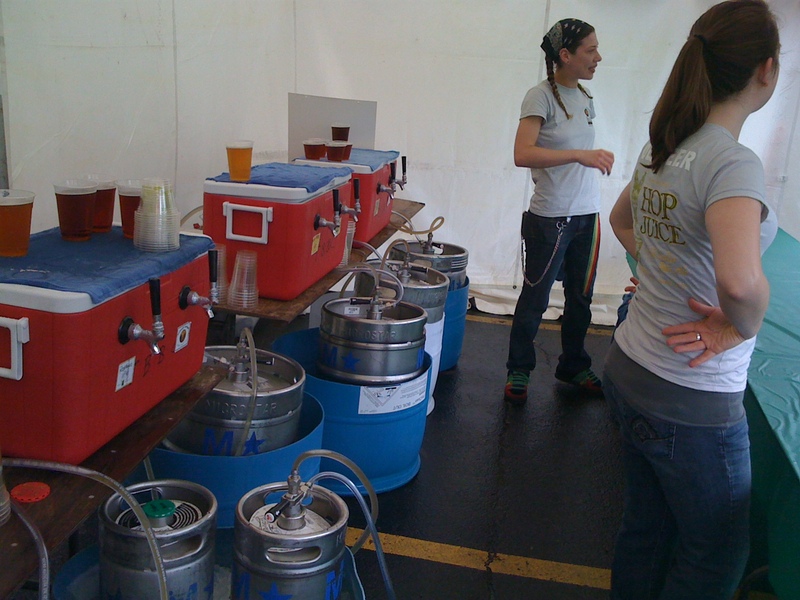 So me and heather volunteered there and worked the beer tent. The crowds were crazy, even for a rainy day. But by then end of our shift, I could pour a beer like an expert. And to top it all off, we finally got to see our guitar teachers band The Prairie Surfers play (they were good). All in all a ton of fun and I can’t wait to go back next year. Finally done with this one. I ended up reading anouther book for work called Inbound Marketing. It was all about the new way to market in todays digital world. Its started out pretty good but ended up being a little too basic for me. But for anyone who is new to things like Social Media, Blogs and SEO, it’s a good read. For anyone who has used those a lot, take a pass. I was very excited to cross this one off. After over 3 years of thowing money at car payments every month we are finally done! It feels really good to know that we can now keep that money. I’m hoping we can drive these cars for many more years. I have decided I really hate having car payments (that didn’t take long to figure out) so I’m going to enjoy this time. I have been taking lessons on my beloved bass guitar since last September and I feel like I have started to really improve. That’s no small part to my fabulous teacher (who I’d highly recommend). So the first song I really felt comfortable playing all the way though was Allstar by Smashmouth. A great summer song, although I had to use a pick, which I didn’t like. But it was a big accomplishment for me all the same. And to make things better, shortly afterwords I was able to work my way though The Reason by Hoobastank (much easier of a song, BTW). But for someone with zero musical talent, I feel like I’m making good progress. Well that’s it for this month. I feel like I made some decent progress. Thanks for following along!